RESERVED for Springray. 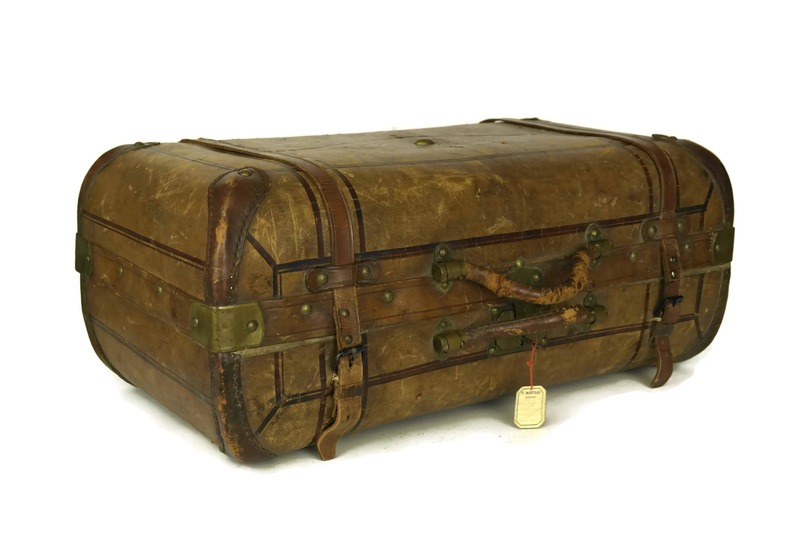 Antique Leather Suitcase. 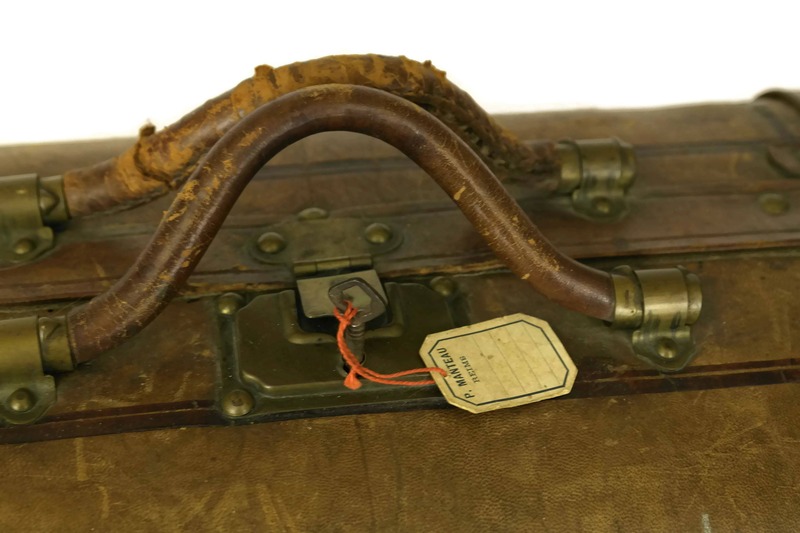 French Luggage with Straps. 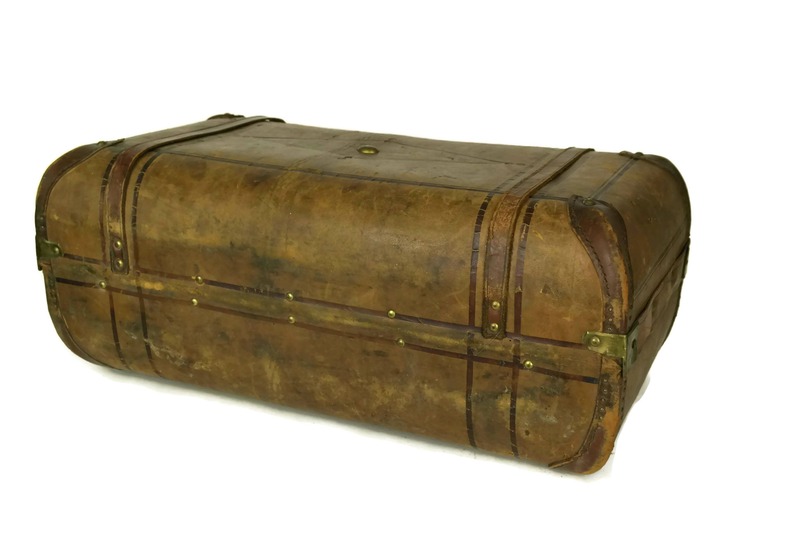 Brown Leather Storage Case. 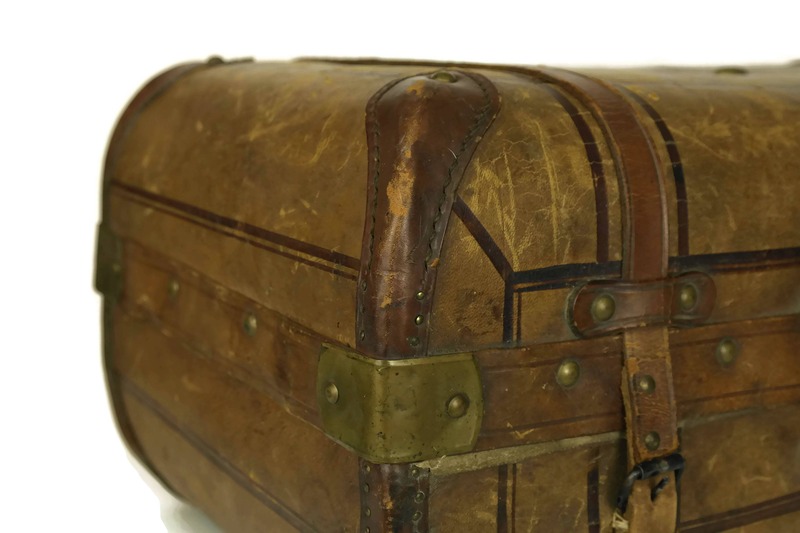 Gift for Traveller. Weekend Bag. 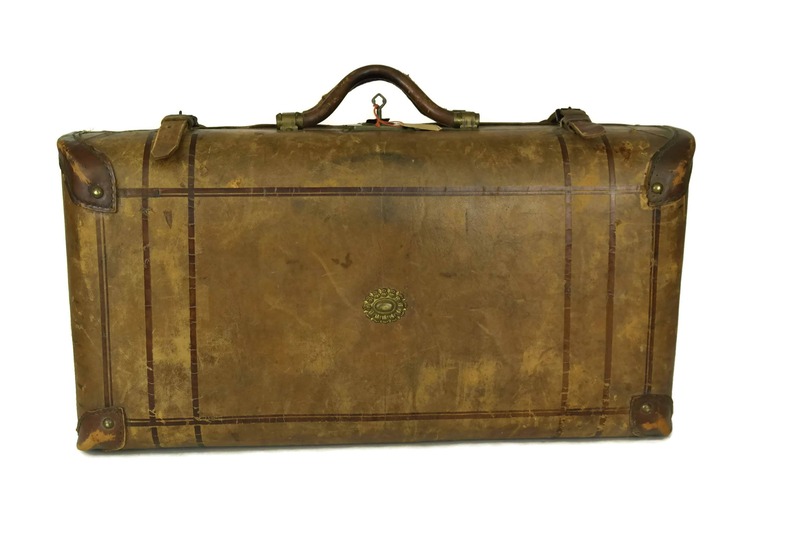 A beautiful French antique leather suitcase dating from the early 1900s. 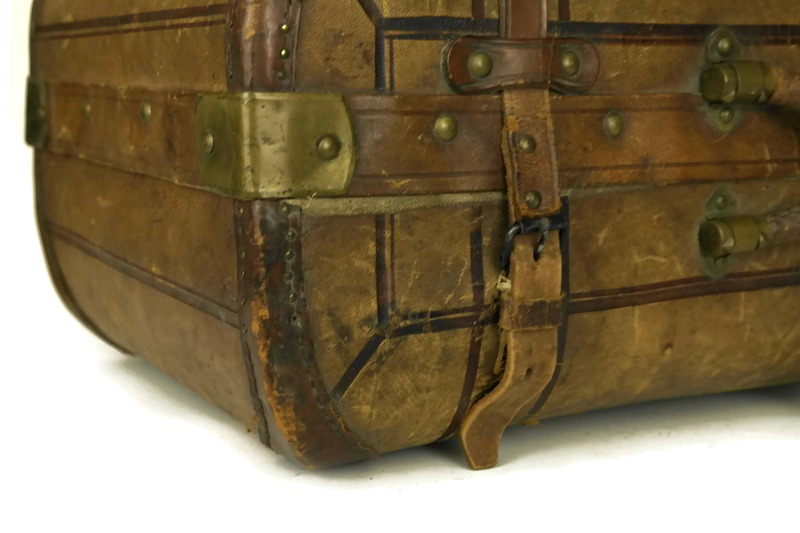 The luggage has a classic form with straps and two carrying handles. 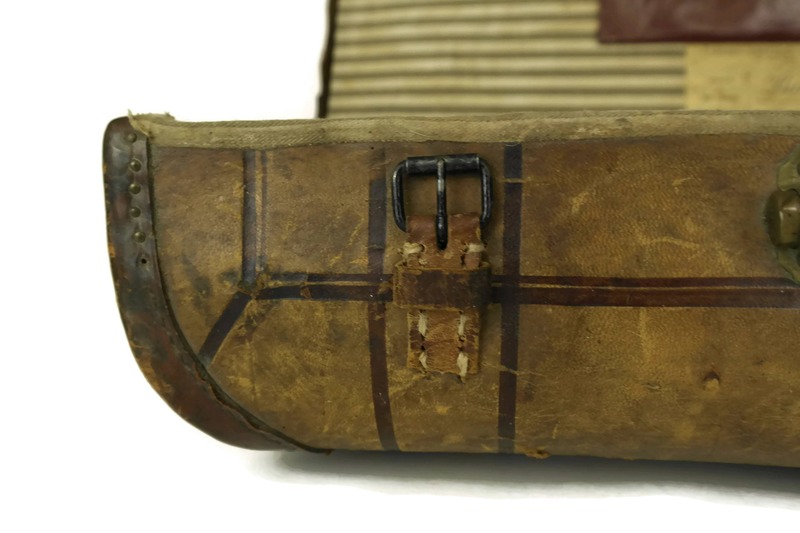 The exterior of the hard shell case has been covered in brown leather and features brass metal hardware and the original key for the lock. 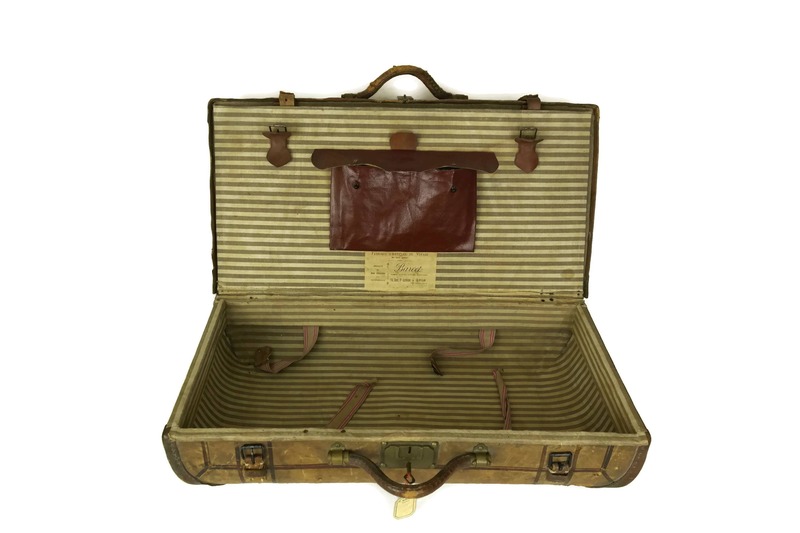 The interior has two sections and features the manufacturer's label and a large storage pocket. 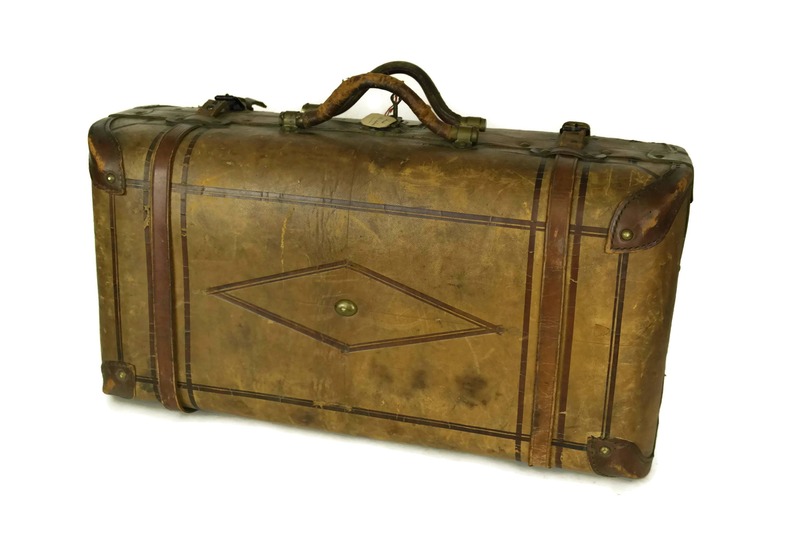 24" Long x 9" High x 12" Wide (61 cm x 23 cm x 30 cm). 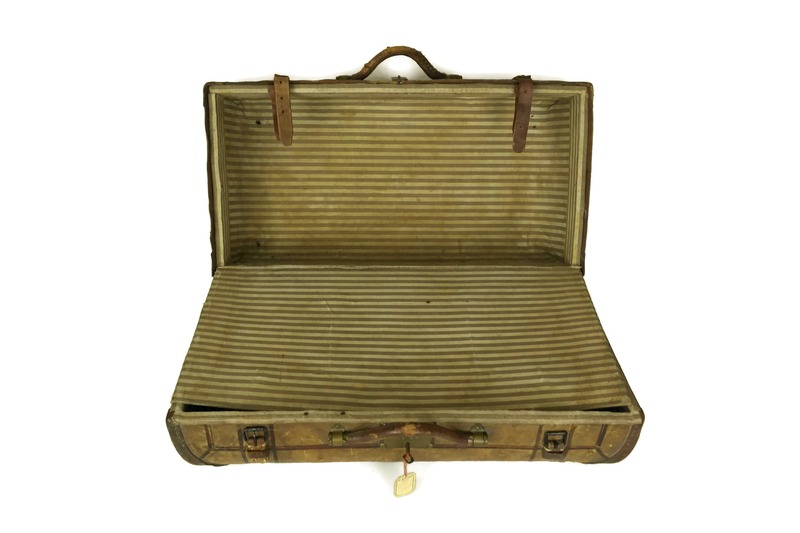 The antique suitcase is in good condition with signs of age and wear including surface marks and scratches and wear in places to the exterior and interior.